Goshen is the third in a series of letterpress-based fonts from Bill Moran of Blinc publishing in St. Paul, MN. 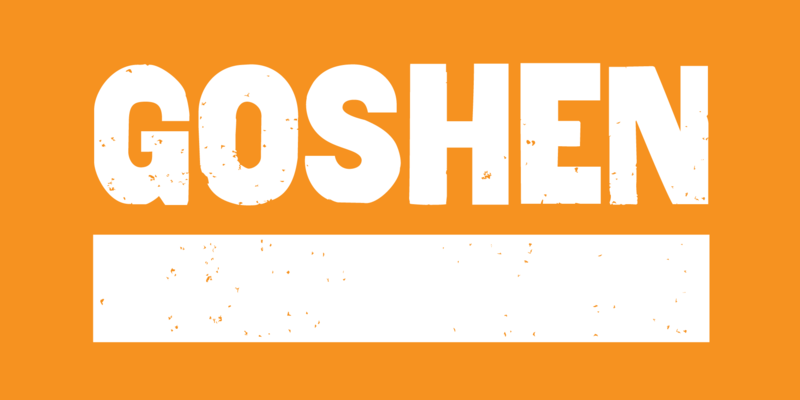 Goshen was printed from wooden letterpress blocks, then the print was fontified by Bill’s trusty sidekick Darrel Austin. The distressed textures of these printed letters mingle with the strong, simple letterforms to create a font that’s sure to please any American cowboy font junkie. There’s no lowercase letters in this one, but you get your choice of thick or thin caps which look lovely together. Oh joy!